Happy Friday everyone! I hope all you moms had a great Mother’s Day last weekend. Mine was pretty awesome. I got to talk to my mom and my son and daughter-in-law on the phone, and had a lovely meal out with The Husband and my daughter the evening before. I don’t know how it is outside of the U.S., but a hundred years ago when I worked in restaurants, we approached Mother’s Day with fear and trembling. It was the busiest day of the entire year, even busier than New Year’s Eve. So we wisely went the day before. Either way, I’ll take it. 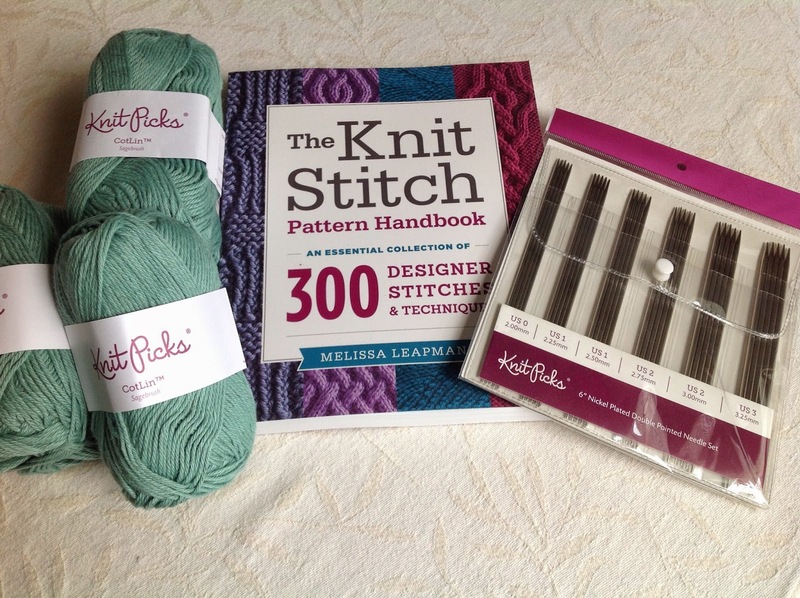 Last but not least, I picked up another stitch dictionary - Melissa Leapman’s The Knit Stitch Pattern Handbook. Believe it or not, it has put me in the mood to…SWATCH. I know, unbelievable, but true. Perhaps there’ll be some more designing in my near future. Happy Mother's Day! Yarn presents are always fun. I can't wait to see what you make with the CotLin. I'm in the mood for some summery knits, too. It's nice to know your sense of humor is being passed on for future generations. I just bought myself that same stitch dictionary, I really like it! It looks like you got some great gifts!